Visit Croatian beautiful islands on a private yacht and experience the highlights of this country under the sails. Discover this amazing coastline and sail away with your friends on a private yacht tour from Pula, Split or Zadar. Experience the best of the Croatian coast and take one of our short sailing trips in Croatia. Sailing from Rovinj is, however our original route availabe also in the off-season in April, May, Spetember and October. • Do you have limited time to visit Croatia? Simply take one of our Croatia sailing tours and taste the real heartbeat of this amazing country. • Do you want to do a little bit of everything? You can always decide what to do during your trip. Your itinerary is completelly flexible. • Not sure if sailing really is your thing? Anyone who tried, came back the next year, so don't worry, just unwind and enjoy the ride. Since this is a seaside country, taking a short getaway to explore Croatia is a decision you won't regret. Take your family or friends on a short sailing trip and discover Croatian coast from a private sailboat. Couple days of ultimate freedom on a skippered yacht, will reveal the scenes of this hidden Mediterranean gem, that you never thought existed. Sailing is the ultimate alternative way of traveling around Croatia. The itineraries are flexible to suit your needs, so you can always decide what to do. Party, swim, chill or snorkel. All that our open-minded skippers can do, is give you some route tips and make your decision easier. Just unwind, open-minded and let the easy-going local life philosophy crawl under your skin. 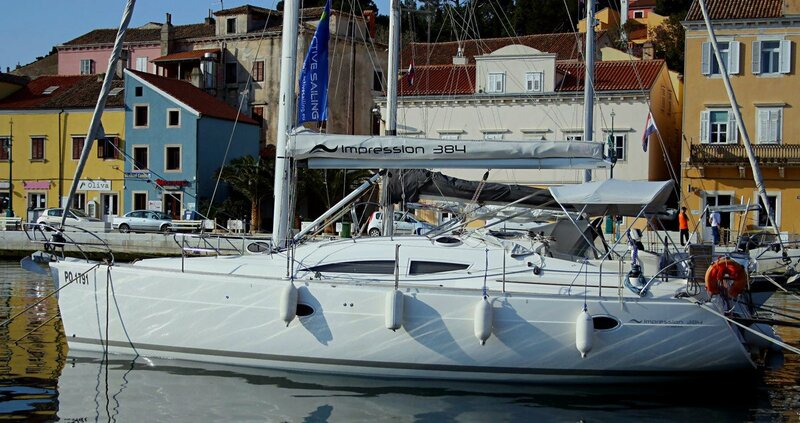 Short sailing trips in Croatia are possible through the whole season with embarkation in Pula or Zadar. 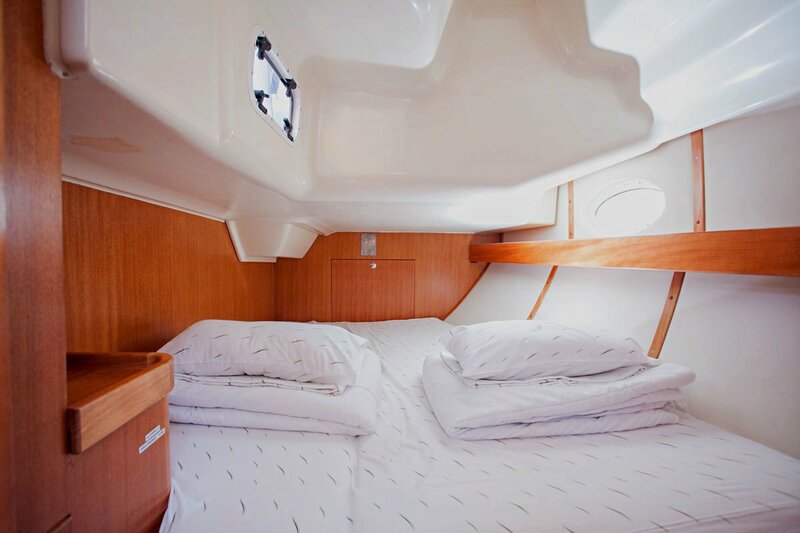 Our private sailing yacht Elan Impression 384 has 3 spacious cabins with fresh clean bedding, two bathrooms with electric toilets, cockpit cushions, solar panels, teak deck and 3 showers. It can accommodate up to 6 guests, but we recommend 4 max. It is perfect for 2-3 couples, group of friends or a small family with kids. A large bow cabin can easily accommodate 3 kids. Your skipper will take care of your comfort aboard and recommend suitable itinerary for your group. This 40-foot beauty with 6 berths and three spacious cabins with double beds is suitable for small group of friends or family with kids. 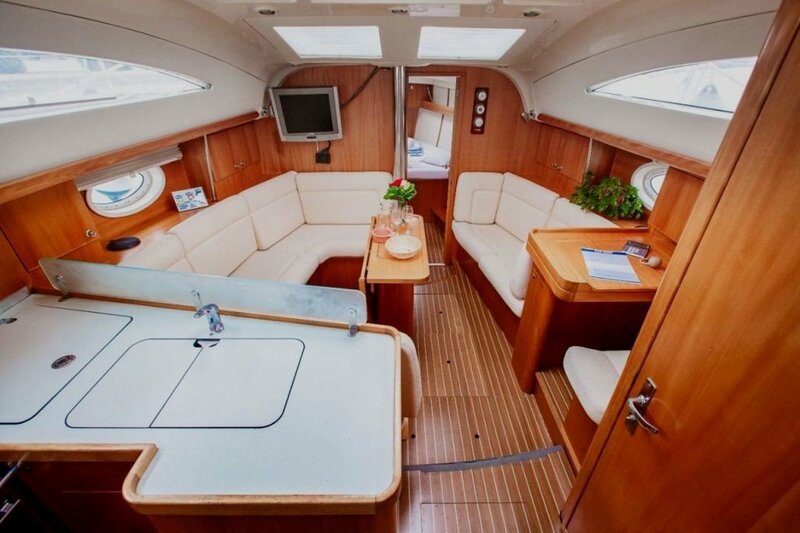 This fully equipped yacht comes with many inclusions - also with skipper's dinner. Skipper usually comes with the inventory of our yacht. Your itineraries are 100% flexible and can be at any time coordinated with your skipper. Always opened to your suggestions, he/she can first-hand recommend a unique tour to meet your needs. The salon can easily acoomodate a small group of friends or a family with kids at the dinner table. The rooms are wide and bright and always set with fresh bed linen. Cockpit can accomodate up to 6 persons behind the table. Although 4 is recommended for a better quality of living aboard. You can find your place under the sun even when sailing. The bow of the can turn into a spacy sundeck. Tailor your own route and explore the area highlights. Your route can be adjusted and customised regarding to your inquiry. 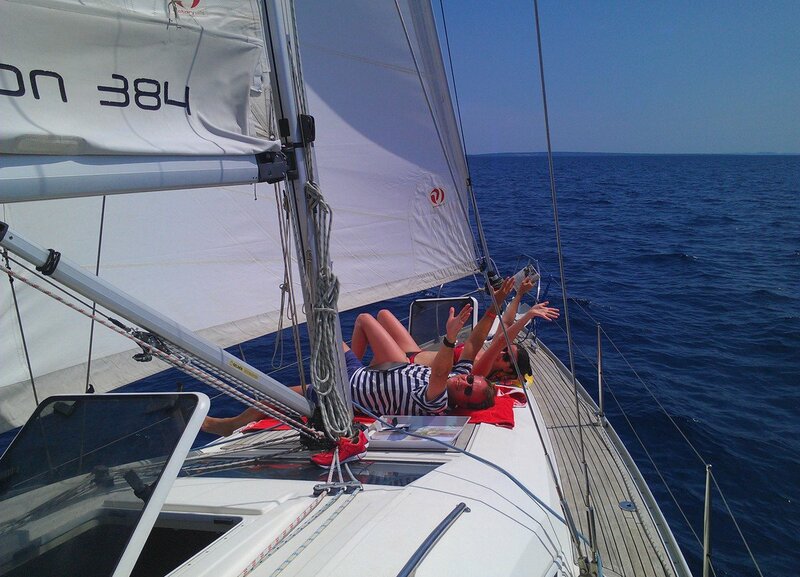 At our private sailing tour the itineraries are flexible. Any trip can be adjusted considering your preferable destination, period of sailing and embarkation place and time. Here are some itinerary tips from our weekly yacht tours from Zadar Split and Pula. Also check out culinary sailing Croatia special package that can be arranged on ou private yacht. Our original route is from Rovinj in Istria. *All the weekly periods can be customised into short-term trips. Starting in marina Sukošan near Zadar, our route will lead us through the magical Kornati national park - one of the most vivid and amazing natural treasures in the Adriatic. Over 100 uninhabited small islands and reefs are a home to numerous animal species and unique flora. And the only way to visit this island chain is with a sailing yacht. You will get to visit colorful villages, swim and snorkel inside the scenic coves, taste amazing traditional cuisine and enjoy in the most beautiful romantic sunsets. 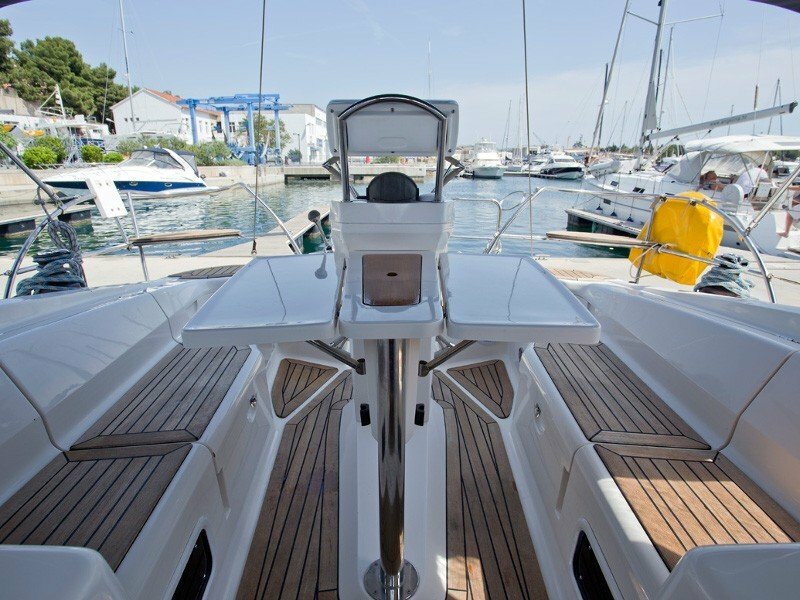 Since this is our private yacht, we also give you the opportunity of one way tours or a special culinary sailing tour in Istria. Start in Pula / Rovinj and finish in Zadar, or the other way around. This is how you get to see more coastline, visit more islands and you avoid the additioal land transfer costs. What if the group is larger then 6 persons?